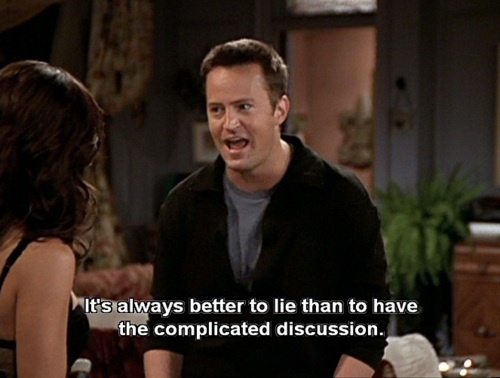 Friends, one of the most popular sitcoms of America, has amused many generations for a decade. The fun and humorous element of the show is still a part of our minds. Famous all across the globe, Friends is best known for its witty dialogues and the way they had been conveyed. Though the show went off the air but crazy fans still love it. 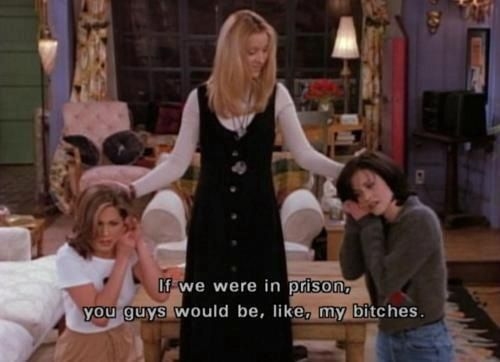 Check out some of the best quotes from friends to revive that craze and feel nostalgic. Just love that wit in serious situations. I agree with that. Do you? On a serious note, it may involve health risk. Yes! that's why you need a true bff. He may be right, maybe not. There are many who love to live without LOVE. Mine too! 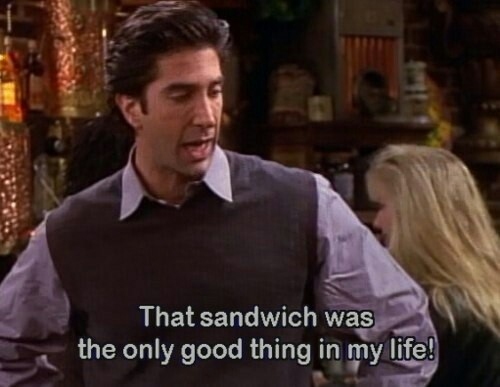 just love sandwiches. Now that does not sound like a friend. Insanely funny. What do you say??? Yes, if he doesn't like, someone else will. Just wait. Hmm, this proves that the silliest of minds can also come with thought provoking lines. Yeah! that sounds cool. Give it a try. 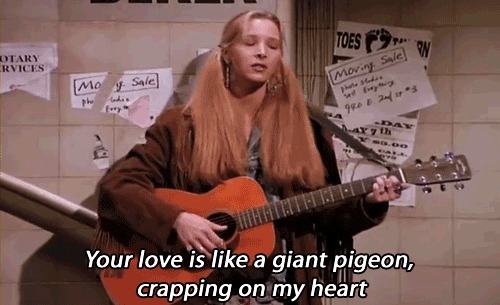 A love simile like this can only be used by Phoebe. Too straight forward she is. That is just like we do in true friendship. That is the tragedy of life. Something we can’t change. That is another good option for continuity in relationships. 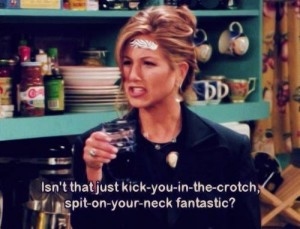 One of the nicest quotes from friends but not practical. 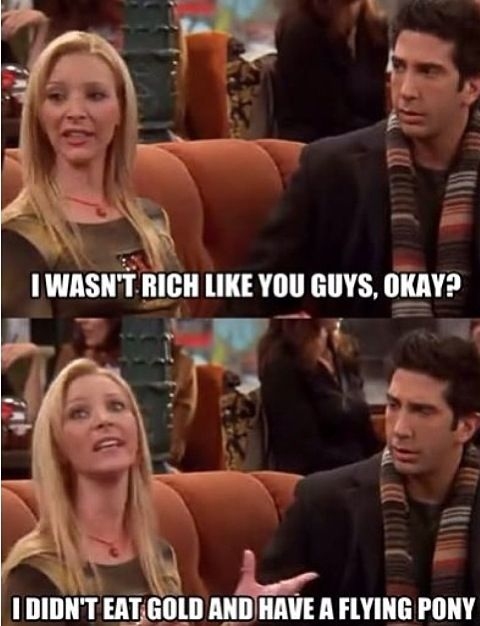 They didn't actually say it in the show, but this GIF is just classic! A bunch of crazy guys like them, laughter guaranteed. When they go to fancy places to eat and have to split the bills. 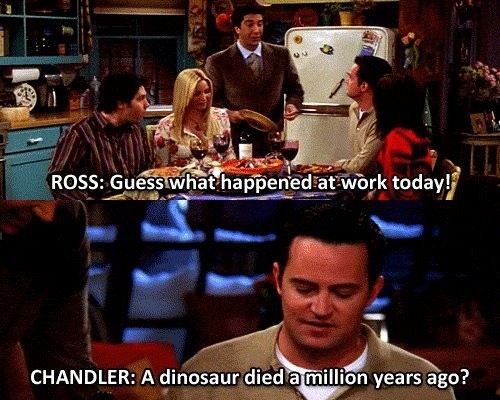 Ross always been made fun of for his boring work.